Lately I got a lot of questions about the state of the various projects I’m related to, so it is high time to write a newsletter even though it is impossible to give comprehensive details. Some people just want a brief summary resp. overview and others wants to be informed in more detail. I try to walk a the middle and as it threatens to become extensive as possible, I refer to a web site if possible. In any case, a lot is happening in this area and in that respect I can say that I am very happy because I have the conviction that real solutions for our energy, and everything related to it, are moving more and more closer to reality. Since then it was a bit quiet but Yildiz (a former police inspector) did not sit still and would now have built more than 50 prototypes (or this is true??? I’m doubting). 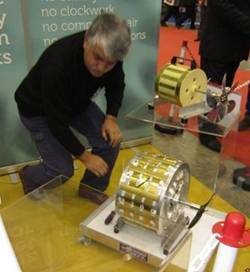 From 10 to 14 th of April he showed 2 motors at the Inventors EXPO in Geneva. I was there but it showed to me that he is less far as was written on the mentioned internet site of Sterling Allen (Peswiki.com). Now he is going to test a 5kW motor in Turkey by Hagen Ruf from the USA. Mr. Keshe would deliver at the end of 2012 a 3 to 4kW plasma generator to those people who had subscribed for 500 euro’s. Because problems arose with the Belgium government which threatened with confiscation of the stuff he had to change this. Therefore, the delivery was postponed to late February. On 26 Febr. I got the message that there were problems with the sealing and that the delivery was delayed until late April. Now this has been extended to May to have more time for testing etc. I wait till then! Quite generally known is that there is in Holland it is allowed to pump back a maximum to the central grid of 5.000kWh without problems. This is called “saldering or balancing” which also means that you get back the same rate of money/kWh as what you pay for. However, this all is limited to just the private consumption. If you have less than 5.000kWh consumed the netting is also less. If you do plan to produce more kWh than you consume it is important that you notify both the energy supplier as the energy operator of the central grid. An example: suppose you use 3,600 kWh/year, but you have a free energy unit that produces 3.5 kW (e.g. the Keshe unit!) during 24uur/day and 365days/year. This produces therefore 3.5 x x24hrx 365days/yr = 30,600 kWh/year. Suppose you pay now 0,22€/ kWh, depending on the energy supplier they will pay most 7 to 8 €ct/kWh) but say 7.5 €ct / kWh repaid . The total purchase is then: 3,600x€0,22 + (30,600-3,600) x €0,075 = € 792. – + € 2,.025. – = € 2,817.-/year. If such a unit would cost €5.000, – you have a payback time of €5,000/2,817=1.8 year. It also should be taken into account the setup fee + security measures (and any insurance?) in case eg the grid would fall out or something like that. Partly because of my skepticism with regard to this man, we have put only $5,000, – in his project as a deposit for a possible future “master license” for the Netherlands. The problem with John was that he is able to tell wonderful stories so there were quite a lot of people from all over the world who have purchased a master license for US$50,000 -.but still he never showed a rotating unit. Early December ’12 he would, however show at the large energy eposition in Orlando / Florida his running Plasma Motor. When I got there too I met many licensees from around the world and then he again showed no rotating unit with all kinds of reasons why not. I was pretty disappointed that he “again” didn’t make true what he had promised. To my surprise the licensees reacted released and remained to have confident in him…..
On 5 March 2013 there has been an incursion by about 12 FBI agents that everything that was in his office were confiscated and the bank accounts blocked. Herein John is accused of fraud and lack of delivery, respectively appointments. I can almost fully recognize what is in the police report because these are precisely the back attitudes that I’ve had since the beginning of our contact, and that there is still not any rotating unit available. 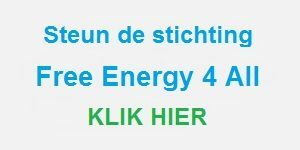 6.1 In the 14th newsletter (just in Dutch) I discussed this quite extensively (see website: www.FreeEnergy4All.nl). 6.2 Andrea Rossi and his E-Cat (Energy catalyzer) now offers containers of 100×10 = 1000kW thus 1MW heat. In short time he hopes to have a demo available but these units can already ordered. 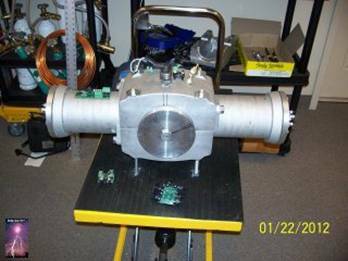 Rossi also works very hard on a unit which produces high temperature steam (>500ºC) with which a steam turbine which in turn is driven mechanical energy or together with a generator capable of generating electricity. Gerard Essing, a college of mine, has been there is now a number of times and has had very pleasant dealings with them. The people there are working on both the “cold tube” (100-150 º C) as well as the “hot tube” boiler (400-550 º C?). By electrolysis of water this will be converted into hydrogen which, in a grid of nickel powder (the catalyst) and under the influence of electric pulses, via different isotopes of water (deuterium, tritium), into on the end Helium. This process is producing very much heat. This is not called by them LENR but CECR (Controlled Electron Capture Reactions). There is going a lot re this subject with complete other use of nuclear reaction then we know about and thought as possible. I only mentioned the most important ones. Different companies work on a variety of routes but I’m convinced that this is a real application without all kind of problems occurring with the most known form of nuclear energy namely nuclear fission i.s.o. nuclear (cold)\-) fusion although the current scientist aren’t yet open for this kind of energy. Anyway, all this is in a tremendous momentum which is unstoppable. Comparison: One kilo of hydrogen converted to energy is comparable with more than 1 million kg of fossil fuel!! On 3 and 4 December I went with a colleague (Kees van der Koppel) to England to put a visit to an incredibly inventive inventor. We both were deeply impressed by what this man had already performed. We now support him also financially for one of his devices to develop a production-ready unit. Yes, our hearts beat with anticipation! We hope to visit him again soon to see for ourselves how far he has come already. In the German magazine “Network Journal” was a very interesting article about this Herr Haaker with his unique invention. That is why I visit him on the 7th of January ’13 with a colleague, Han Friezen in Lügde / Germany. However it turned out that we both were not convinced that this invention could provide a substantial amount of power. There are several other projects I’m involved with directly or indirectly or an in contact with. This now goes too far because they are mostly longer-term projects or not ready for publishing. Although there is still not a unit that can be ordered immediately, except the Keshe plasma engine, a lot of all fascinating possibilities are hanging in the air. If Yildiz shows on short term really his units produce kilowatts power (first part of June hopefully), everything suddenly comes much closer. Also re Keshe I have pretty high expectations. Also re the LENR developments nice expectations are in the air, even though it may still take time until the end of this year before we actually are at household level to be used. Anyway beautiful developments are getting closer to be actually realized. Are you excited about all these developments, please pass on to others that one is free to sign up to these newsletters via the website. Unfortunately this newsletter is the first in English. founder and president of the Foundation FreeEnergy4All.